Bike Big-M, hike the North Country Trail and find accessibility at Old Baldy & Arcadia Dunes. Come up to Northern Michigan and explore our vast trail networks. While there are over 200 miles of trails in our region, here we have outlined the very best! The Old Baldy universally accessible trail is perfect for families and casual hikers. Completed in 2018, the trail is ideal for a quick couple-hour out and back trek. 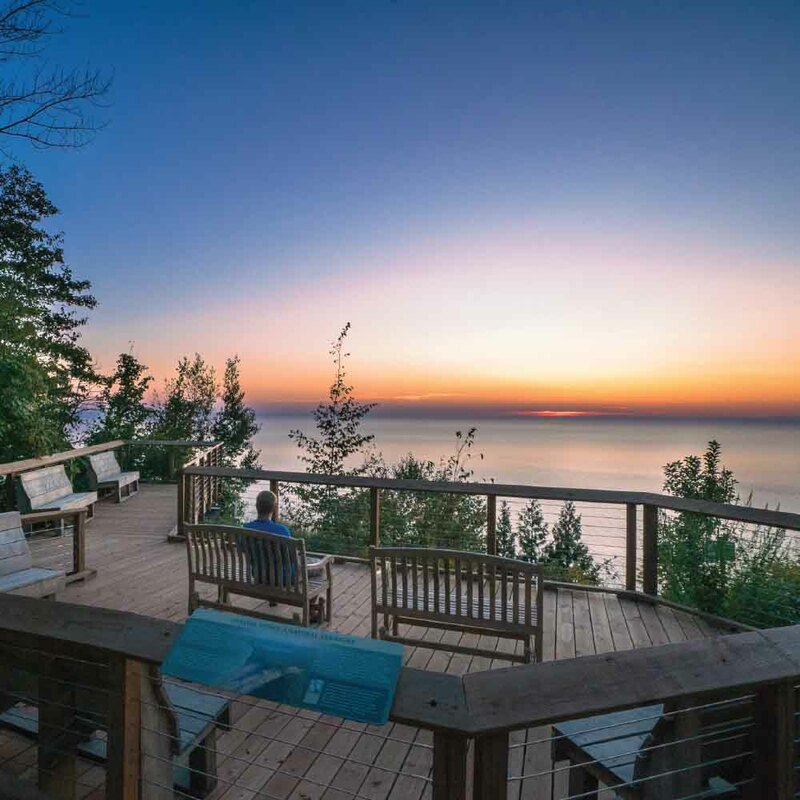 The panoramic views of Lake Michigan at the end of the trail are a memorable way to start or end your vacation. The accessible trail isn’t the only loop as part of the Old Baldy Trail system. There are various loops ranging from 2-4 miles, and at the northern most tip of the trails you will find the Old Baldy Trail, with rolling dunes out to Lake Michigan. 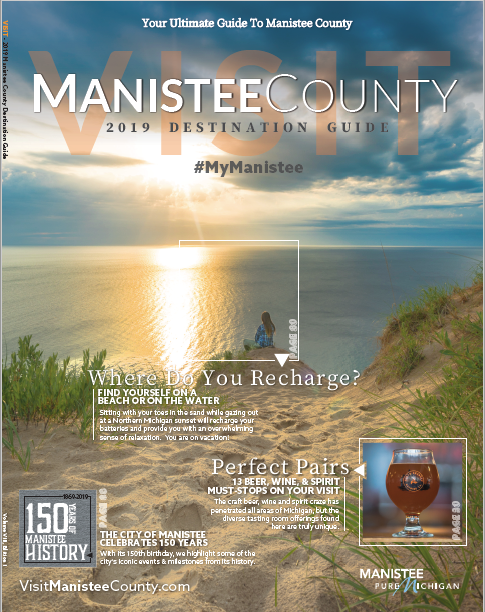 The perfect weekend hike offers a varied and dynamic perspective of the natural beauty of Manistee County. The North Country Trail and Manistee River Trail loop is approximately 20 miles and is ideal for a relaxing hike with a group of friends or family who want to “rough it” for a weekend getaway. With many access points to the trails, starting out at the Upper River Trailhead just off of Coats Highway is a great spot to begin. 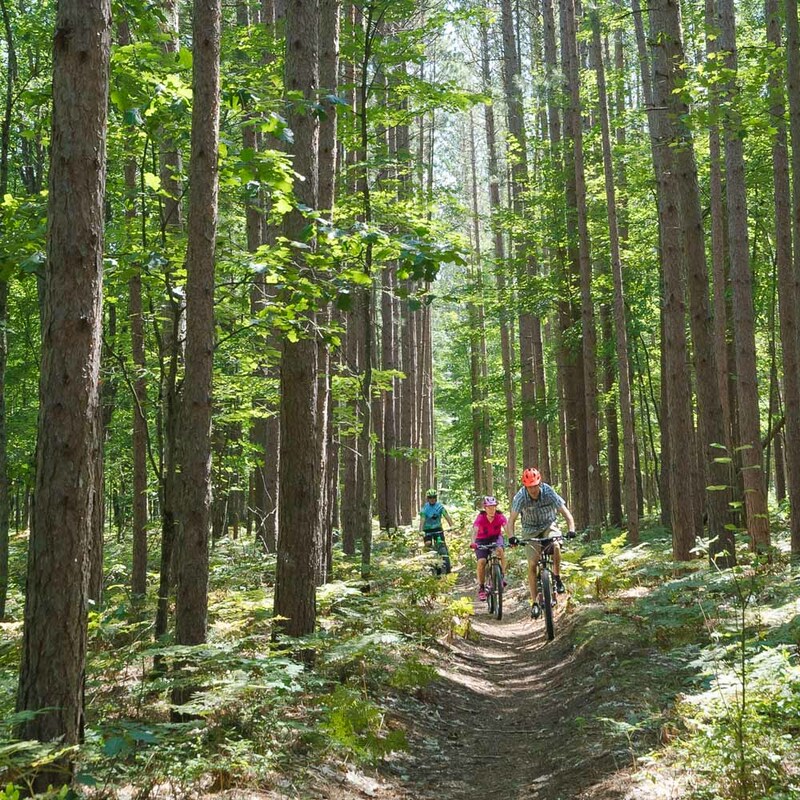 Enjoy 40+ miles of mountain biking trails carved out of the Manistee National Forest. This trail system also connects with the North Country Trail system and offers excellent biking, fat biking and cross-country skiing, making this area a year round destination for outdoor adventurers. Loads of loops: The best part of Big-M is that there are so many loop combinations that provided excellent all-day riding and you never need to see the same tree twice. 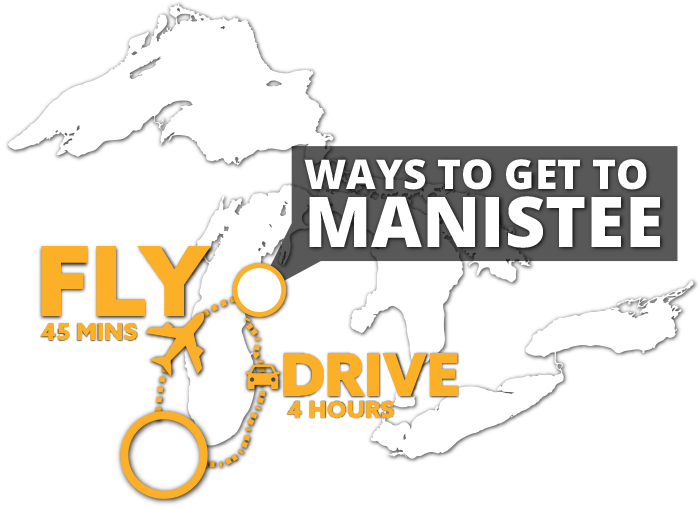 Check out our map to get a full view of what you can expect when hitting the Big-M Trails. You know you want to, what are you waiting for?